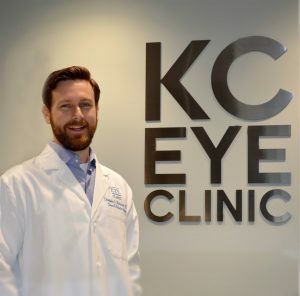 Christopher S. Ketcherside is a surgeon specializing in LASIK and refractive surgery, cataract and premium lens implant surgery, cornea disorders, and cornea transplant surgery. Dr. Ketcherside received his undergraduate and medical degrees from the University of Missouri. His ophthalmology residency was performed at the University of Virginia after which he completed his training with a Fellowship at the renowned Rocky Mountain Lions Eye Institute at the University of Colorado. Dr. Ketcherside’s extensive training was focused on cornea and refractive surgery. His practice custom tailors every surgical procedure to individual patient needs. Additionally, Dr. Ketcherside serves on the Accreditation Board for the Eye Banking Association of America. He was featured in the February 2015 Newsletter, read more about him here. Dr. Ketcherside is proud to announce he is now offering two great options when it comes to cataract surgery; traditional cataract surgery and laser assisted cataract surgery with the LenSx laser. Research Published: Ghazi NG, Ketcherside CS, Sheehan J, Conway BP. Gamma Knife Radiosurgery for Uveal Melanoma Ineligible for Brachytherapy by the Collaborative Ocular Melanoma Study Criteria. Open Access Surgery. Marsh AE, Barr BC, Tell D, Bowman DD, Conrad PA, Ketcherside C, Green TComparison of the internal transcribed spacer, ITS-1, from Sarcocystis falcatula isolates and Sarcocystis neurona Journal of Parasitology. 85(4):750-7 1999 Aug.
Poster presentation: Ketcherside CS, Ghazi NG, Sheehan J, Conway BP. Outcome of Uveal Melanomas Treated with Gamma Knife Radiosurgery. Presented at ARVO 2006; Virginia Society of Ophthalmology Annual Meeting 2006. Sommerville D, Hainsworth DP, Fedyk A, Ketcherside CS, Ranson NT, Todd KC, Gigantelli JW Retinal Pigment Epithelial Abnormalities Associated with Dome-shaped and Mushroom-shaped Choroidal Melanomas. Unpublished. I currently live in Kansas City, Missouri with my wife Andrea and three children Grayson, Ryann and River. My hobbies include most sports, outside activities, running, reading, travel and being with family and friends.